Typical behaviour: Being a Type A extravert, this is one of the hardest personalities to live with: aggressive, perfectionistic, narcissistic, domineering, coercive, and prone to game playing. They take up a lot of space in the room often being well built having expansive body language. The family can live in fear of triggering the violent outbursts and spend a lot of time cowering to their will. However, the family tolerate them because they are capable, protective, dependable, and have a strong sense of loyalty to the family. Outsiders do not believe what happens behind closed doors having been seduced by the charismatic personality. Who they might be: Father, brother, or a mother or sister with masculine qualities. They tend to be in rolls of leadership. What they are most likely to say: “How could you let this happen?! ?” “Look what you made me do!” A lot of shouting. Why they are like this: Possibly the victim of an abusive parent or bullied at school. 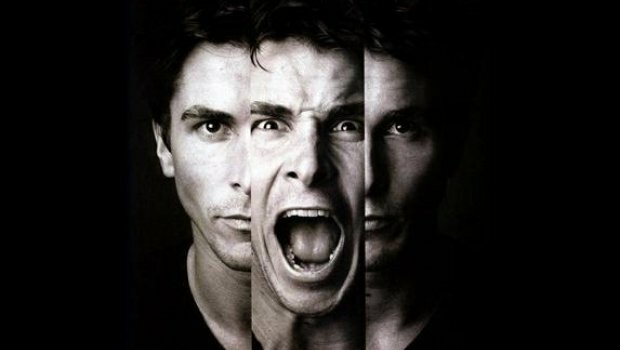 There is a chromosome and genetic link to high levels of testosterone that triggers aggression and clouded thinking. In the worst cases of psychopaths they are often an anomaly. What you can do to help yourself: When channeled in the right direction a tyrant can make a good leader if, and only if, they are self-aware. Chose to respond rather than react by taking ten deep breaths before acting. What you can do to help them: Demonstrate empathy explaining you understand the importance of “getting it right, lets see how we can patiently get there”. Stand your ground assertively without confrontation: ask them “how you like to hear this message?” Managing your own anxiety, with simple breath work, will trigger them to calm down too. If the situation is too aggressive detach and remove yourself from the situation – it will die down without an audience. Lastly, humour heals. Typical behaviour: Having a persecutory mentality, they tend to engage people to ‘rescue’ them through exaggerating storytelling of minor injustices. They appear like the lost soul or the stray cat you want to save. They tend to swing through a range of extreme emotions: tears, fear, anger. They suffer from an inability to help themselves, blaming everyone and everything around them. Who they might be: They can be child of high achieving parents, or live in the shadow of overachiever siblings. What they are most likely to say: Conversations tend to have a negative tone full of the “I can’t”, “its not my fault”’ or “I don’t know what to do”, focusing on their sob story, but resistant to advice or support unless it is to ‘do’ things for them rather than enabling them to do things for themselves. Why they are like this: They have probably been a victim and experienced an injustice or violation of their human rights but did not receive the appropriate sympathy. As a result they are ‘stuck’ in that time, replay the incident, and subconsciously recreate situations that replicate the original incident as a means of gaining the appropriate sympathy. The payoff is that they gain short-term satisfaction from eliciting sympathy – this is only a quick fix rather than a long-term solution. What you can do to help yourself: Practice the art of self-actualisation: challenge yourself to be brave, take personal responsibility for your choices and actions, pursue experiences that fill you with joy and harmony, ask yourself “what do I have to offer?”. What you can do to help them: Do not attempt to help them. Seek out ways for them to enable themselves by pointing them in the right direction for information. They may emotionally manipulate you into coming over to cook for an event they have organised, rather, go over recipes and plan the menu together. They will have a ‘flip’ side seeking out extreme escapism such as binge drinking, taking recreational substances, and extreme or high velocity sports. Who they might be: As team leaders, managers, teaching senior leaders, they micromanage. What they are most likely to say: They will at first appear supportive by saying “just checking in..” but this is really about their lack of trust and anxiety. Why they are like this: They are obsess with controlling their external world in an attempt to control the chaos they feel inside. Invariably they are the product of nervous, fearful, and overprotective parenting. What you can do to help yourself: Remind yourself of the reasons why you hired your team. Manage your perfectionism styled expectations, give your team specific guidelines then leave them to get on with it agreeing a review of progress at a specified time. On a personal level seek out healthy means of managing your anxiety such as meditation, yoga, CBT, and mindfulness to your inner experiences. Remind yourself that the world is changeable and too complex to pre-empt and control, this will exhaust you, what you can control is your interaction with your ever-changing environment. Chose to be responsive rather than reactive. What you can do to help them: Be assertive and ask very specific questions about deadlines, structure, vision, dos and don’ts of projects. Typical behaviour: Tantrums, emotional outbursts, anger rants, morbid jealousy, illogical stubbornness, and attention-seeking behaviour. They will always make sure they are the centre of attention. They resent anyone who may have the limelight at family event. In an act of insecure jealousy for example, they may feign losing their phone whilst celebrating a sibling’s graduation. They continuously turn the conversation around to them and fail to return “how are you?”. Who they might be: Typical careers are actors, actresses, drama teachers, dancers and singers – anyone in the limelight. They are often an-only-child. But not exclusively – there may be a significant age gap between siblings and have thus taken the latest arrival really badly. What they are most likely to say: Reactions are exaggerated and over the top: “Everybody hates me!”. His or her day always seems worse that everybody else’s: “I can top that. Listen to this!”. There are repetitive and always end up turning round the conversation back them: “Well anyway, back to me…”. Why they are like this: This personality is a result of arrested development - a child stuck in the terrible twos. Stuck in a time warp, they are replaying a latent memory in an attempt to ‘fix’ the event. What you can do to help yourself: Once you’ve identified your cycle of behaviour, make the decision to engage in your personal development. When playing out a drama, ask yourself how old you feel in that time then explore the memory associated with that age. For the ‘fix’, get to know yourself: begin by identifying your physical sensation, your ‘gut instinct’, your thought processes, and finally your experience of your relational interactions. What you can do to help them: Never engage in their drama. The moment you enter into their ego-driven world you feed the monster thereby perpetuating the cycle. When they’ve calmed down, communicate with eye contact and a touch on the arm, validate their feelings stating you understand what they are feeling, listen to what really being said (not the story), and finally reflect back what has been said to help them identify and articulate their feelings and emotions. Typical behaviour: The denier is very good at blocking things out and just getting on with it. They invariably deny their needs and vulnerabilities; illness, injuries, and imperfections are seen as failures rather facets of our human condition. This is a double-edged sword. Whilst they are incredibly accomplished despite adversity they will crack when the situation becomes so extreme and they finally realise they are not a robot. Secretly, they want to be cared for and looked after but do not trust themselves with the privilege. They are uncomfortable with PDA but want you to keep trying blowing hot and cold when dating. They also end up keeping people at arms length or pushing them away when getting too close. This leads to self-destructive & sabotaging behaviour, and extreme burnout. For example, once they realise have developed strong feelings for someone, they will intentionally sabotage the relationships by sleeping with their best friend. Who they might be: Often an only child, the eldest in the family or the ‘tough/strong’ one. What they are most likely to say: When asked if they’re okay: “I’m fine.” Statically, they tend to be resistant to making long term plans saying they’re not much point or they need more information to make decisions. Why they are like this: They tend to see vulnerability as a weakness. It is likely they had an experience that was traumatic for them and disassociated from physical and emotional impact of the experience. As a result they are disconnected from their body and emotions. While this helped them survive the experience, they have outgrown this coping mechanism specific to that incident. As human beings when tend to habituate and generalise behaviours regardless of the context. What you can do to help yourself: In a contained, safe environment practice a self-compassion meditation. Place your hand on your heart, visualise the love and care you feel for someone special in your life and visualise the physical sensations of that same love being return on to yourself. What you can do to help them: Compassion and empathy are powerful interventions. Explain that you can see it is difficult for them to trust but that, though you are human and have bad days too, you are not going to intentionally let them down. Build trust in identifying boundaries in which they can depend on such a regular day of the week for date night, a ‘good morning’ text, and call before bed. Typical behaviour: The display introvert type behaviour – shy, timid, have low self-esteem, and appear isolated and lonely seeing them as socially inept. They are extremely sensitive to what people say or might think about them often interpreting the most negative version of events or statements. The tendency to withdraw is a counterintuitive behaviour to what they are really seeking. Before too long the need for attention becomes unbearable, as a result the pressure builds up and sudden emotional outbursts occur with socially clumsy attempts to articulate their needs. Who they might be: They see themselves as the forgotten middle child of the family or are the youngest of a very loud family (bottom of the pecking order). They often like to stay ‘behind the scenes’ and avoid careers that require social interacting/engagement. You’ll often find them lurking being a computer screen or hiding in the corner at a party (if you've managed to convince them to come that is). They'll be assistants, coders, or working in charities where they feel they may be of use. Why they are like this: They have an ‘avoidant attachment style’. How parents and caregivers socially interact with them in early development is crucial to personality formation. It is likely caregivers were not sensitive and responsive to the their emotional needs. For example, when parents are suffering from grief or peri-partum depression (new clinical term for post-natal depression as we now know this can begin during pregnancy) they are lost in their own feelings and unwittingly neglect the emotional needs of their child. The child then grows up erroneously believing they have done something wrong or have somehow caused their mother’s distress and subsequently feel responsible. As a way of protecting themselves from feeling let down or misunderstood they stop socially engaging to avoid the pain of rejection. What you can do to help yourself: Challenge yourself to ask, “what’s the alternative?” with your automatic negative thinking. When feeling irritated or on the verge of an outburst check in with yourself, ask “how am I feeling now, and what is it I really want and experiment with being authentic. Clients often tell me that they have taken the risk to be honest and find they end up getting what they want. What you can do to help them: Be interested in them. Make a point of including them in conversations but listen patiently – they spend a lot of time thinking so are often very brilliant but deliberate over every word. If they are cut off or your are impatient with them they are likely to withdraw into their little shell believing they are inadequate.